Bike Frame Building School - Instructor Paul Brodie UpdatesFlashback Fabrications Ltd.
On March 23, 2015, Global News aired an interview with yours truly. 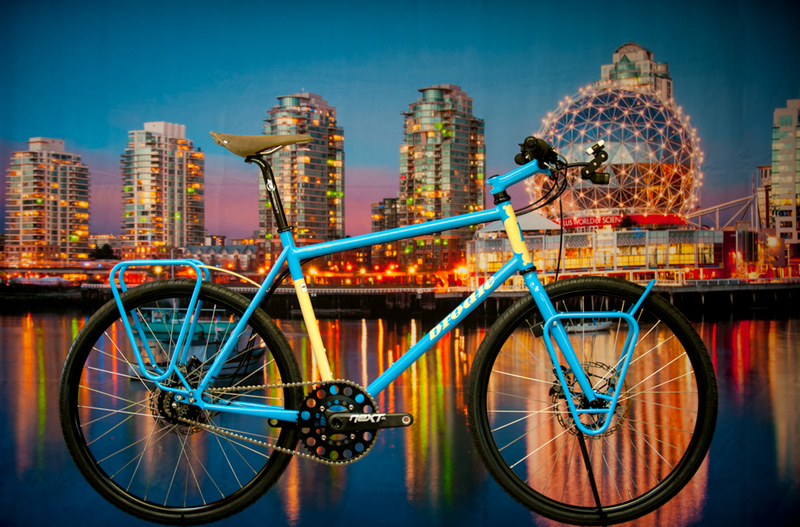 If you would like to watch it, here is the link to Bike Design 101 with Brodie Bikes. The Framebuilding 101 Open House on Jan 8, 2014 was a great success! It was held at the Aerospace Center where the Framebuilding course is held. Thanks to all who attended. Map it! 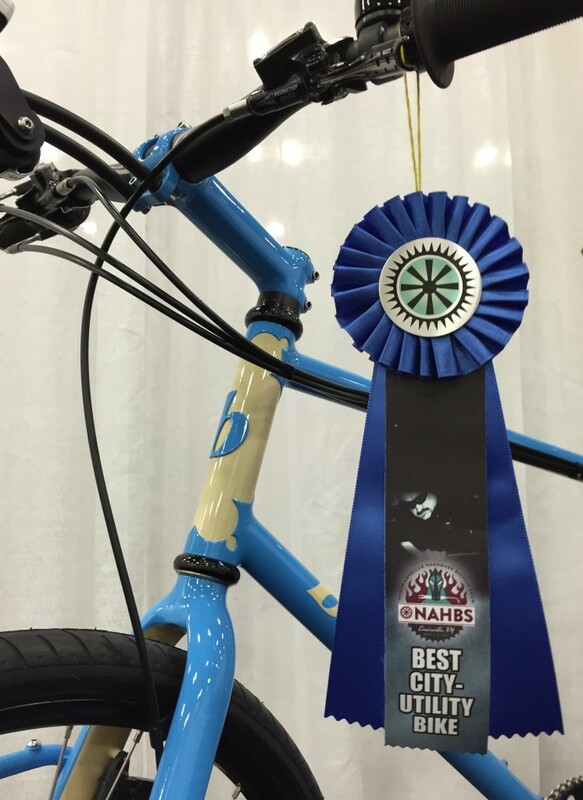 Yes, we are going to NAHBS in Charlotte on March 14-16, 2014. 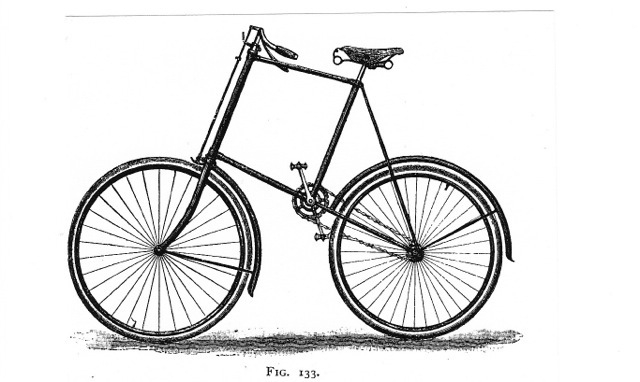 I am building a 1894 Starley Giraffe Bicycle. It was built in London, England at a time when it was fashionable to have a hedge. When you rode a Giraffe Bicycle you could look over your neighbours’ hedge! Music by Abraham Tilbury and Matthew Fischer. For those of you attending any of my courses this year, I have some additional pre-course instructions for you. This information will help you come more prepared to build your bike frame, and will assist me in providing clear and precise instructions for you. I hope you find this helpful. Here is some basic information to help you prepare for Framebuilding 101. FORKS: You need to know the type of fork you will be using. There are two measurements that are critical. 1) the offset, or rake, and 2) the axle to crown measurement. You cannot complete your drawing without these. If you have a bike you are currently riding, it is good to bring that, if possible. It’s a good starting point for discussion of your frame drawing, even if you don’t like some of the measurements or angles on your current bike. Framebuilding 101 course #015 has just ended, and this is the 2 year anniversary of yours truly, Paul Brodie, teaching it. 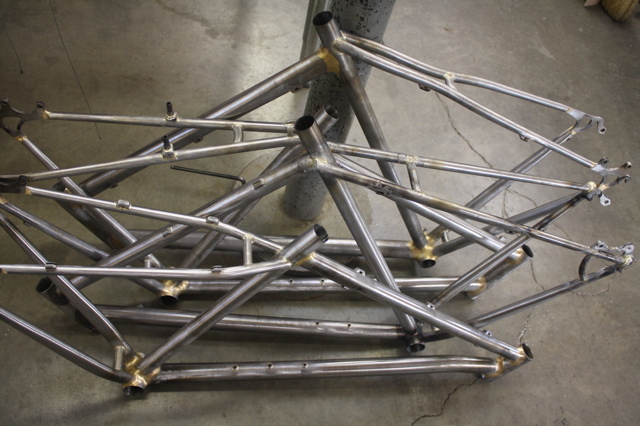 Every student has walked away with a finished frame. People ask me, “Do you like teaching Framebuilding 101?” Yes! I REALLY do enjoy sharing my knowledge. I’m never bored, and it can be challenging. My students are the best: they really do want to be there. Class #015 had three students who travelled from Australia, Winnipeg, and LA. No one locally. In other courses, students have come from Calgary (3), Toronto (2), Bozeman Montana (2), Chicago, Bellingham WA, Germany, Greece and, of course, the Lower Mainland. Below are four frames made by students. 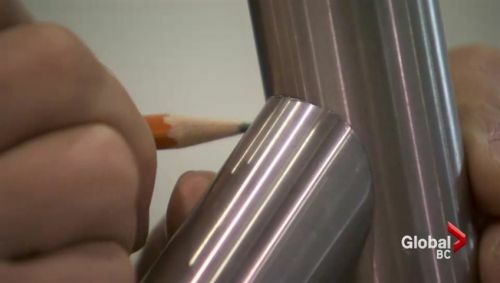 Most students have never brazed or welded in their lives, so there is a lot to learn in two weeks, and most students agree that time slips by very quickly. They build all kinds of frames: road, track, 29ers, cyclocross, an electric cruiser and, of course, Justin and his variable speed unicycle. This is Dimitri’s frame. 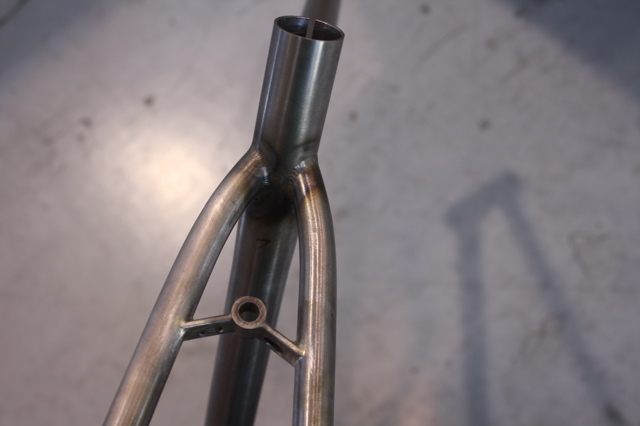 He wanted straight seatstays and to Tig-weld them to the seat tube, so I suggested he bend the tops inward to make a little more room for the Tig torch and to give a different look. I’d never done that before, so I get to learn too. This is James’ frame. We talked about S-bend seat stays, and he liked that idea. However, after bending them he reversed them, and this is what he got. He’s running skinny 700 X 23 tires on this commuter/do it all bike, and they fit nicely. Never seen anything like that before, but I do like it! 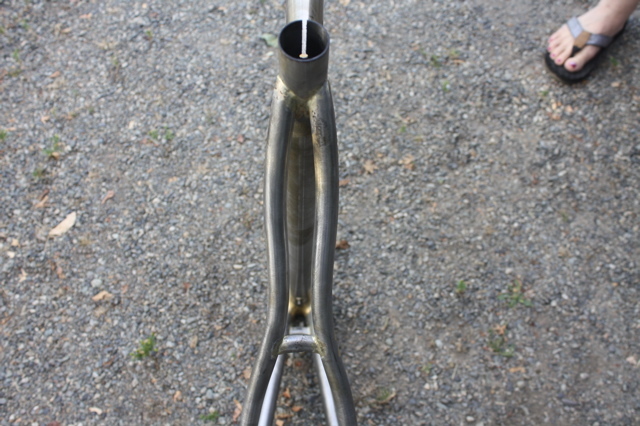 Basically, if you have an idea for a steel hardtail, I can help you build it! Quite a few times a student will want some feature, and I will say, “well, we’ve never done that before,” and then I have to figure out how to help the student make it happen. Did I mention this is the perfect job for me? Other news: UFV has signed up for NAHBS next March in Denver, CO. Guess I’ll have to build another bike.